· P ower outputs also know as power failures or blackouts are short or long-term loss of electrical power; causes range from faulty power stations to damaged transmission lines to overloading electrical main lines. · Hazards are defined as phenomena that pose a threat to people, or structures. Hazards range from debris fields to blocked roads to damages to personal property. · Supplies like first aid, clean drinking water and food become scarce or unavailable from hours to days depending upon the kind and size of the disaster. 1. When disaster strikes you are the first one on the scene at your home; immediate repairs and debris removal is up to you. 2. Having basic tools gives you the ability to help your family and others around your community repair their homes and remove debris. 4. Removing trees that have fallen across your drive way preventing you from using your vehicle is next to impossible without the proper tools. 5. It takes tools board up a shattered window to keep the elements out or a stop the flooding water from causing more damage than a broken pipe. 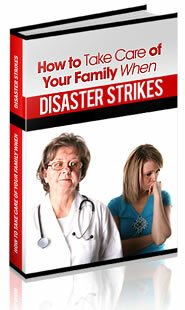 If disaster strikes what basic tools do I need? Although there are many different kinds of Disasters the same basic tools will help you get through most disadvantages. Power tools and gas-operated tools are great if you have power or the resources to run them. I developed this list considering no power was available and only bare minimum resources. Resources like gas, generators, chain saws, and bilge pumps are great; but how long will those resources last if it takes days to weeks to open roads, turn the power back on, and for aid to reach you? · Loppers or other brush or limb saws. If you already own these tools your ready to go, if you do not or you are missing some you need to start purchasing tools. When purchasing tools be mindful to buy tools that are strong and reliable. Going to garage sales and auctions are great ways to pick up quality tools at a great value to boot. Remember the best time to learn lesson about personal security, self-defense, and preparedness is before something happens.